I was driving home after a really long week and saw this beautiful rainbow on my way home. 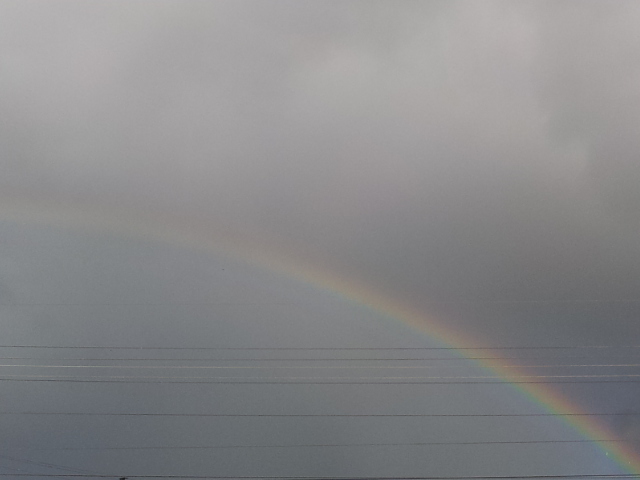 The rainbow was so beautiful and made a perfect semi circle of vibrant colours. My mood was instantly lifted and my afternoon brightened. I was also quickly reminded of the saying that the rainbow is a symbol created by God to represent that he would never destroy the earth by water again. Have you ever heard of this saying ? If not, what stories or symbolism you might have heard about the significance of the rainbow.